Arctic sea ice: is the minimum maximum the new normal? If you blinked, you might have missed it. The confirmation came this week that the Arctic sea ice reached yet another all-time low this past winter. It came and went, without too much ado. Maybe the excitement was just past. The maximum extent was actually reached on March 7th, but of course you can only be sure it is really not going to spread any further once it has definitely been retreating for some time with the onset of spring. I was waiting for the NSIDC confirmation, but not with any doubt in my mind that it would tell us officially the maximum for this season would be a minimum. The danger is a “so what?” kind of reaction, or resignation, with the feeling that nothing short of some kind of unprecedented experimental geo-engineering could save the Arctic summer sea ice in the coming years, as the world continues to warm. The National Snow and Ice Data Center (NSIDC), part of the Cooperative Institute for Research in Environmental Sciences at the University of Colorado Boulder, and NASA confirmed this week that Arctic sea ice was at a record low maximum extent for the third straight year. It reached the maximum on March 7, at 14.42 million square kilometers (5.57 milion square miles). 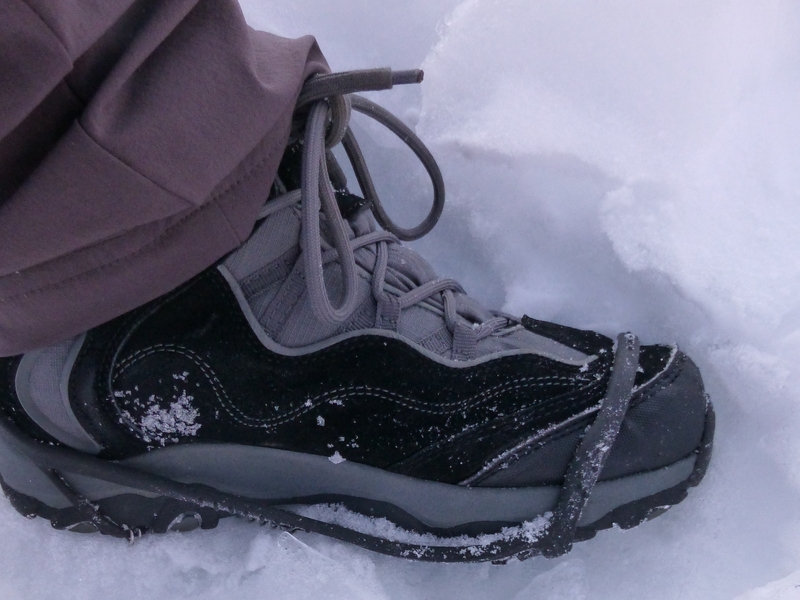 Since then, it has started its annual decline with the start of the melt season. Some time in September it will reach its minimum. This year’s maximum is the lowest in the 38-year satellite record. NSIDC scientists said a very warm autumn and winter had contributed to the record low maximum. Air temperatures were 2.5 degrees Celsius (4.5 degrees Fahrenheit) above average over the Arctic Ocean. Against the background of overall warmth came a series of “extreme winter heat waves over the Arctic Ocean, continuing the pattern also seen in the winter of 2015”, NISDC said in a statement. The air over the Chukchi Sea northwest of Alaska and the Barents Sea north of Scandinavia was even warmer, averaging around 9 degrees Fahrenheit (five degrees C) above the norm. The winter ice cover was also slightly thinner than that of the past four years, according to data from the European Space Agency’s CryoSat-2 satellite. Data from the University of Washington’s Pan-Arctic Ice Ocean Modeling and Assimiliation System also showed that the ice volume was unusually low for this time of year. 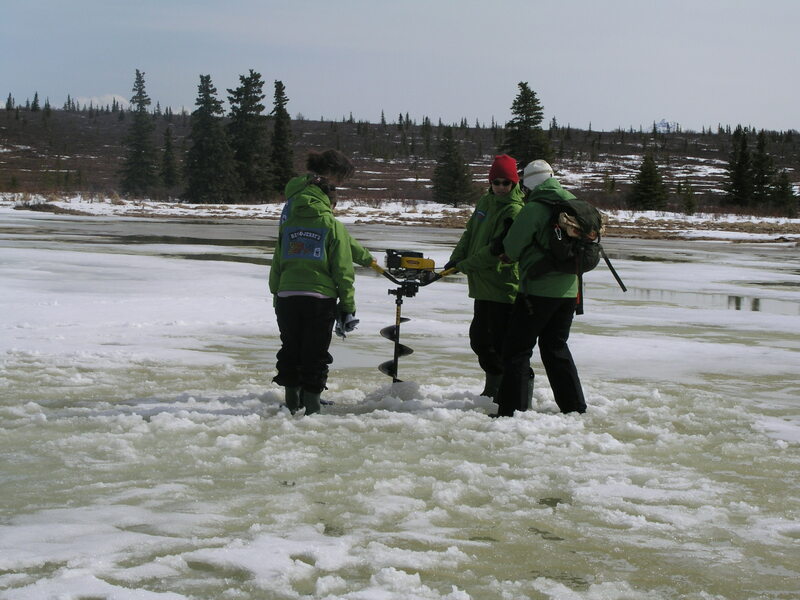 “Thin ice and beset by warm weather – not a good way to begin the melt season,”, said NSIDC lead scientist Ted Scambos. A low maximum does not necessarily mean the minimum to be measured in September will also be a record low, as it depends on summer weather patterns. 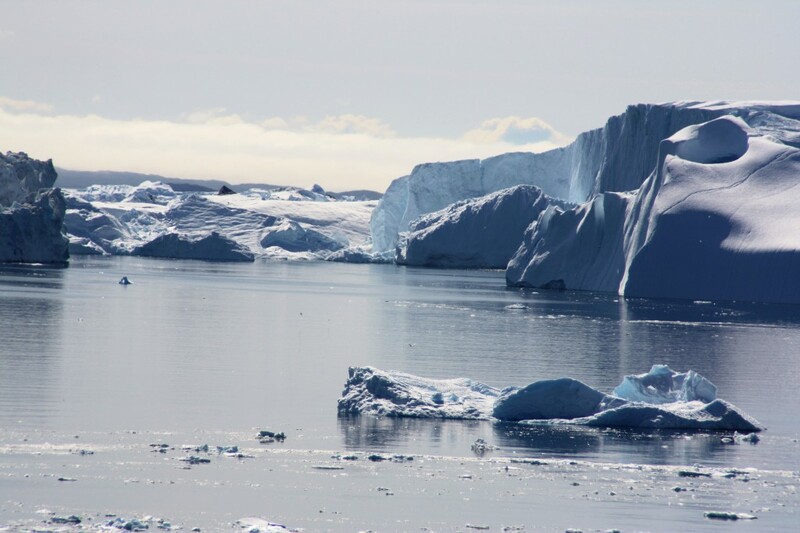 But Julienne Stroeve from NSIDC and professor of polar observation and modeling at the University College London said “Such thin ice going into the melt season sets us up for the possibility of record low sea ice conditions this September”. 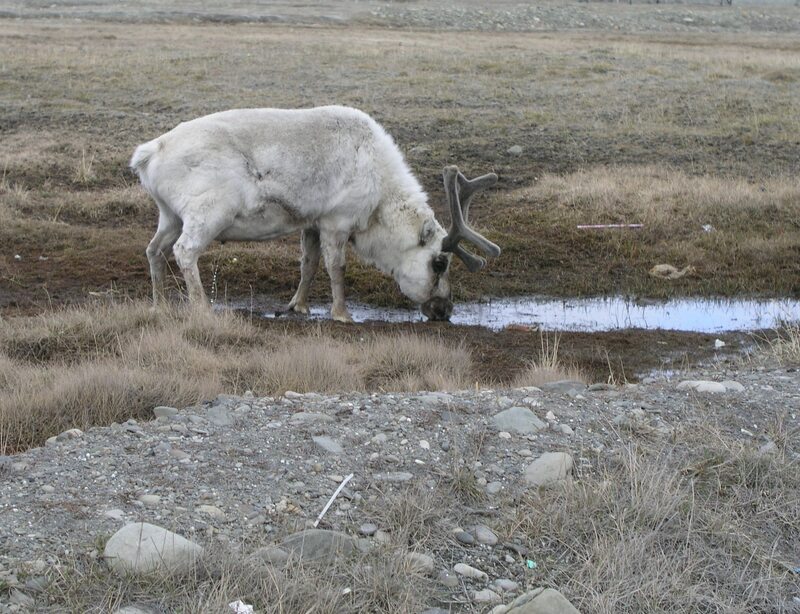 “While the Arctic maximum is not as important as the seasonal minimum, the long-term decline is a clear indicator of climate change”, said Walt Meier, a scientist at the NASA Goddard Space Flight Center Cryospheric Sciences Laboratory and an affiliate scientist at NSIDC. Iceblog readers might wonder if that is stating the obvious, but given the attitudes of the US administration, you can’t take anything for granted. 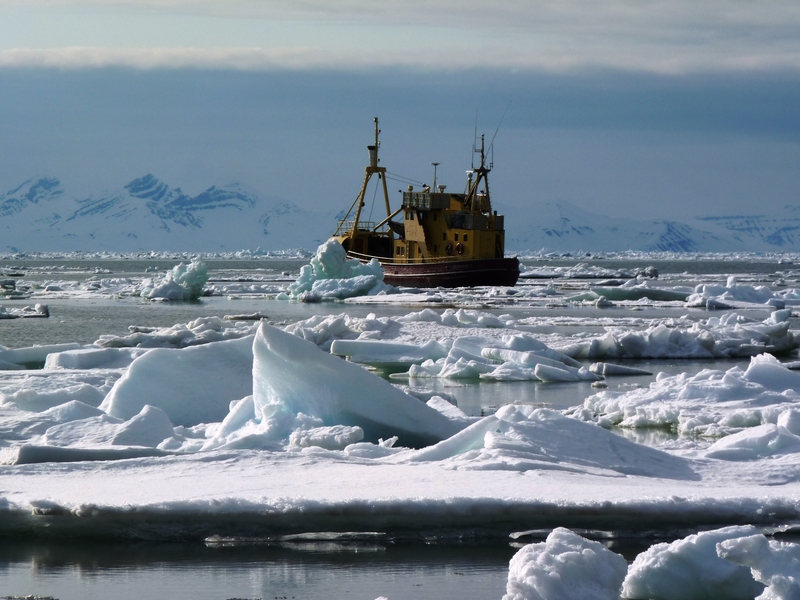 The September sea ice measurements began to attract attention in 2005, when the ice extent first shrank to a record low over the period of satellite observations. It broke the record again in 2007 and in 2012. There used to be little interest in the maximum extent of the Arctic sea ice at the end of winter. I can remember reading with concern and writing a piece about the maximum extent also reaching a record low in 2015. 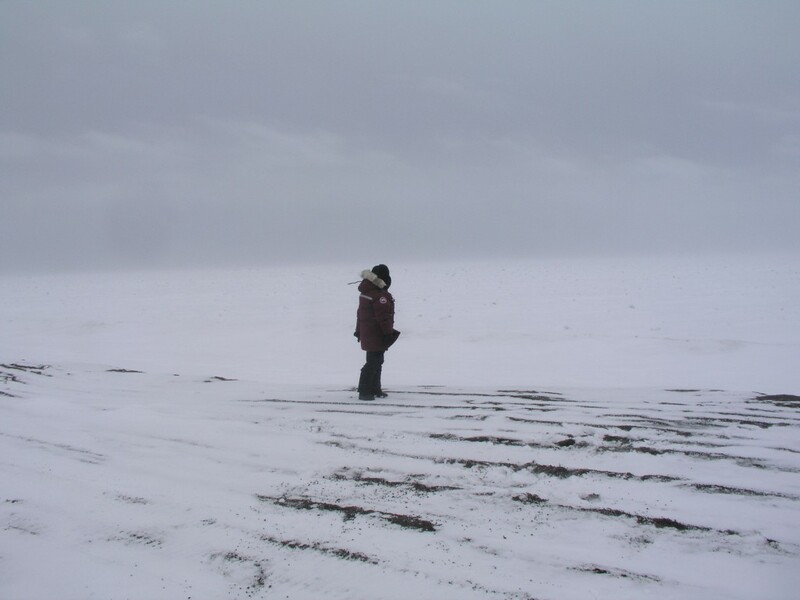 I remember an expedition to Alaska in 2008, when locals at Barrow told me about their personal experiences of the sea ice becoming thinner and less dependable. Some years later I heard similar reports from people in Greenland, who were selling their sled dogs and buying boats in preparation for changing from ice to open water fishing. The data backs them up. 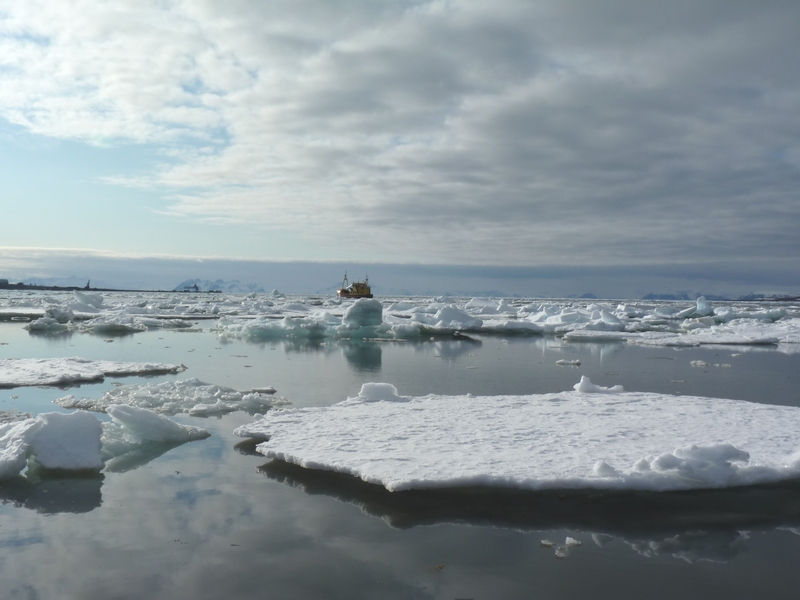 “Just how well the center will be able to track sea ice in the future remains unclear. 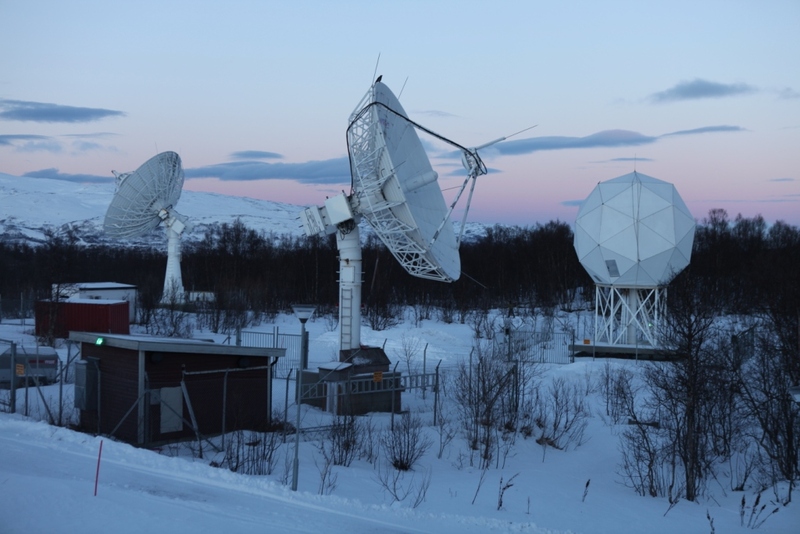 No new satellite is expected to be in place until 2020, and there are concerns about potential interruptions in the record that goes back to 1979… We’re at a situation where the remaining passive microwave instruments up there are kind of elderly. If we have satellite failures, we could lose that eye in the sky”. Now there is a worrying thought. Against the background of budget cuts proposed by the Trump administration, that – to put it mildly – does not regard tracking climate change as a high priority – scientists are understandably worried about the future of scientific research on climate and environment related issues. Without reliable continuous satellite data, it would be much harder to track how climate change is affecting the polar regions, the ocean and our planet in general. This may well be the intention of climate-change deniers behind the scenes. But climate change itself will not go away – and the impacts will be increasingly evident. 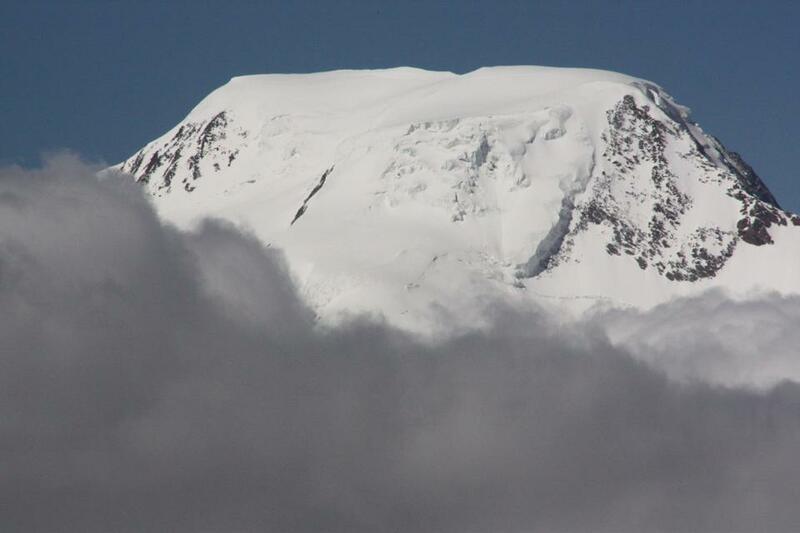 Tim Ellis, writing for Alaska Public media, quotes Serreze as saying the polar ice cap will not last long if the region continues to warm at this rate. “The view from space in the fall of around 2040” , he went on – assuming we still have satellites to take the pictures – “will be of a blue Arctic Ocean, aside from some scattered icebergs and clusters of pack ice”. I don’t know about you, but I find that a rather depressing thought. This week the UN’s World Meteorological Organisation (WMO) said 2016 had been the hottest year ever recorded, and that the record-breaking heat had continued into 2017, sending the world into “truly uncharted territory”. “The dramatic melting of Arctic ice is already driving extreme weather that affects hundreds of millions of people across North America, Europe and Asia, according to emerging research”, Damian Carrington writes in the Guardian. On March 15th, Carrington published an article entitled “Airpocalypse smog events linked to global warming”, referring to extreme smog occurrences in China. Optimism – the only way to go? 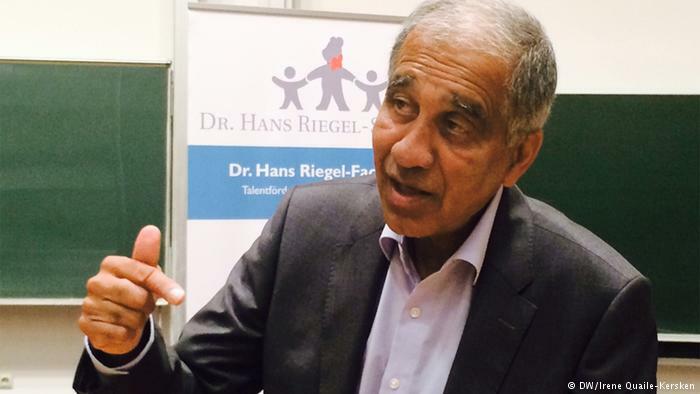 This week I interviewed German oceanologist and climatologist Mojib Latif. I wanted to find out whether the highly unusual extreme rainfall and flooding happening in Peru could be explained by natural cycles or was likely to be a climate change impact which could reoccur. You can read the interview here or listen to it on my Living Planet show this week online or on soundcloud. The professor stressed that the scientists are baffled, because it is not really the time for an el Nino, although this seems to be a “coastal el Nino”, driven by exceptionally warm water off the coast. Of course he is reluctant to attribute any single event to climate change. He stated unequivocally, though, that the warming of the ocean worldwide was absolutely inexplicable without anthropogenic CO2 emissions, that this is all in line with climate models and that we should all be preparing for an increasing number of increasingly extreme weather events, as the world warms. He says the governments of the world (apart perhaps from the new US administration) are in no doubt that climate change is happening and they need to halt it. But they have so far failed in their attempts. When I asked Professor Latif if he still felt optimistic, he told me we really had no other choice. While critical of the lack of government action, he is convinced the world will realize that renewables are ultimately far superior to fossil fuels and will ultimately prevail. The question is whether that will happen in time. As far as the Arctic summer sea ice is concerned, I have to go with a Scots expression: “A hae ma doots”. The Arctic sea ice may disappear completely in summers this century, even if the world keeps to the Paris Agreement. That is the worrying message of a report published on Monday in the journal Nature Climate Change. The 2015 Paris Agreement set a goal of limiting the rise in global temperature to well below two degrees Celsius (3.6 Fahrenheit) above pre-industrial times. 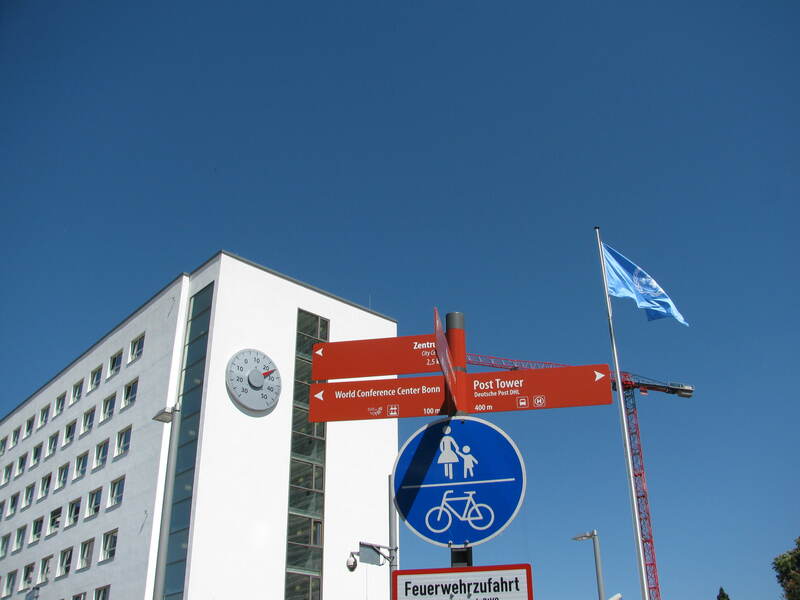 Ideally, 1.5C (2.7F) was agreed to be the “aspirational” target. 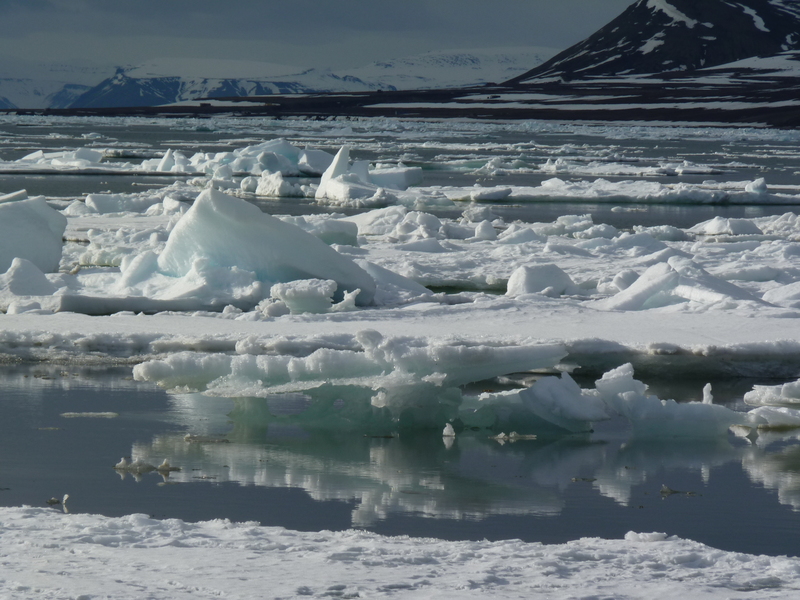 James Screen and Daniel Williamson of Exeter University in the UK, wrote, after a statistical review of ice projections, that a two degree Celsius rise would still mean a 39 percent risk that ice would disappear from the Arctic Ocean in summers. 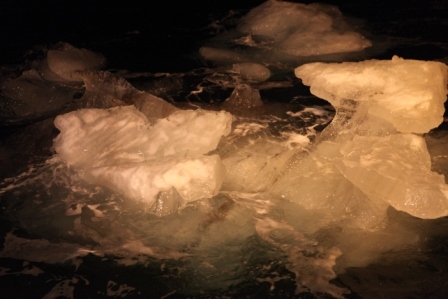 If warming is kept to 1.5 degrees Celsius, the ice was virtually certain to survive, they calculated. If you take the old “glass being half-full rather than half-empty” metaphor, you could see that as a positive option to hang on to. However, the scientists estimated that if we continue along current trends, temperatures will rise by three degrees C (5.4 F.). 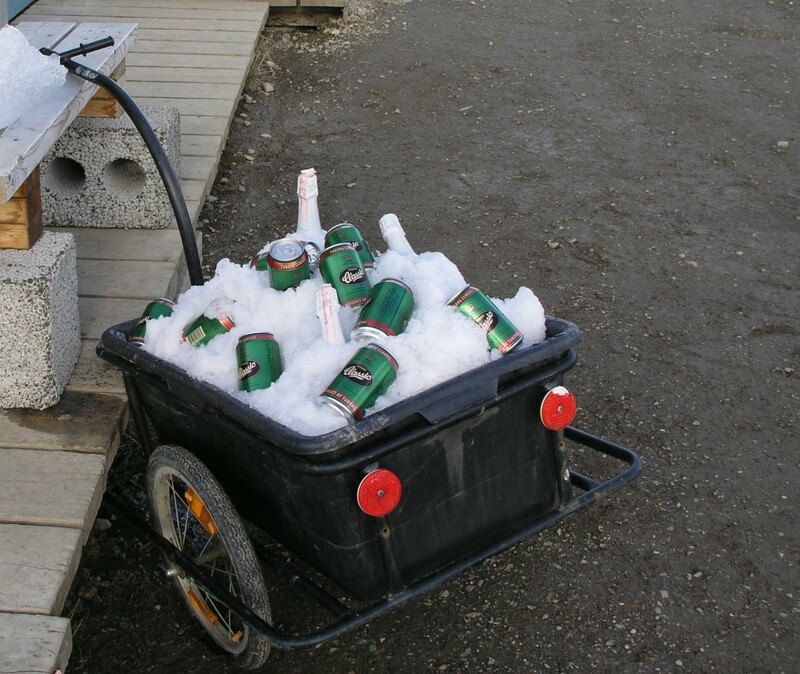 That would give a 73 percent probability that the ice would disappear in summer. To prevent it, governments would have to up their targets and make considerably larger cuts in emissions than presently planned. The sea ice will reach its maximum winter extent some time soon. So far, the March figures rival 2016 and 2015 as the smallest for the time of year since satellite records began in the late 1970s. “In less than 40 years, we have almost halved the summer sea ice cover”, Tor Eldevik, a professor at the Bjerknes Centre for Climate Research at the University of Bergen in Norway, told Reuters. Eldevik was not involved in the study. He predicted that sea ice would vanish in the Arctic Ocean in about another 40 years, on current trends. Scientists define an ice-free Arctic Ocean as one with less than one million square kilometers (386,000 square miles) of ice, because they say some sea ice will linger in bays, for instance off northern Greenland, even after the ocean is ice-free. Despite fluctuations from year to year, long-term trends in the Arctic clearly show a decline in sea ice. The ten lowest ice extents since 1979 have all occurred since 2007. According to the latest figures from the NSIDC (March 6), high air temperatures observed over the Barents and Kara Seas for much of this past winter moderated in February. Still, overall, the Arctic remained warmer than average and sea ice extent remained at record low levels. Arctic sea ice extent for February 2017 averaged 14.28 million square kilometers (5.51 million square miles), the lowest February extent in the 38-year satellite record. This is 40,000 square kilometers (15,400 square miles) below February 2016, the previous lowest extent for the month, and 1.18 million square kilometers (455,600 square miles) below the February 1981 to 2010 long term average. Good times ahead for Arctic shipping, trade and tourism? 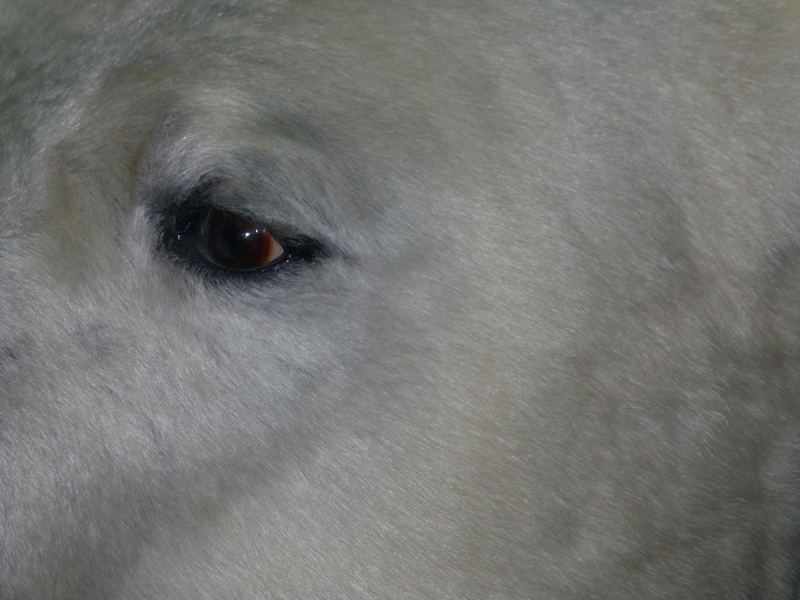 Not much of a future for polar bears struggling for survival, or for people whose livelihood and way of life depends on reliable ice cover. 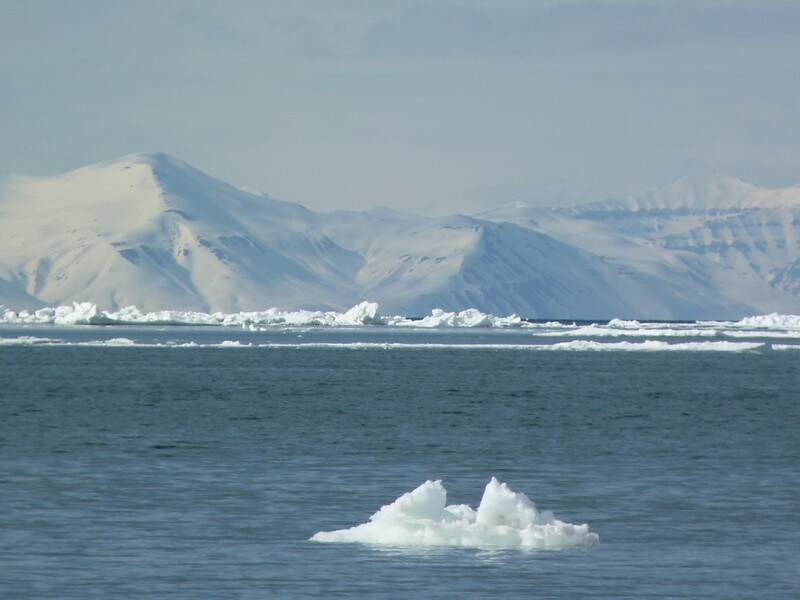 A new study reported in Nature Climate Change this week says ocean acidification is spreading rapidly in the western Arctic Ocean in both area and depth. That means a much wider, deeper area than before is becoming so acidic that many marine organisms of key importance to the food chain will no longer be able to survive there. The study by an international team including scientists from the USA, China and Sweden, is based on data collected between the 1990s and 2010. Presumably, things have got worse rather than better since then. Unfortunately, it takes a long time for scientific research to be evaluated, reviewed and published, so current developments can easily overtake assessments which are already alarming enough in themselves. So yes, I would say this should make us sit up and listen, and lend even more urgency to the need for reducing emissions and combating climate change. Ocean acidification is a process that happens when carbon dioxide out of the air dissolves in the sea, lowering the pH of the water. This reduces the concentration of aragonite in the water, a form of calcium carbonate which shellfish and other marine organisms use to build their shells or skeletons. If the water becomes too acidic, this cannot be formed to the same extent, leaving the animals without their protective shells. 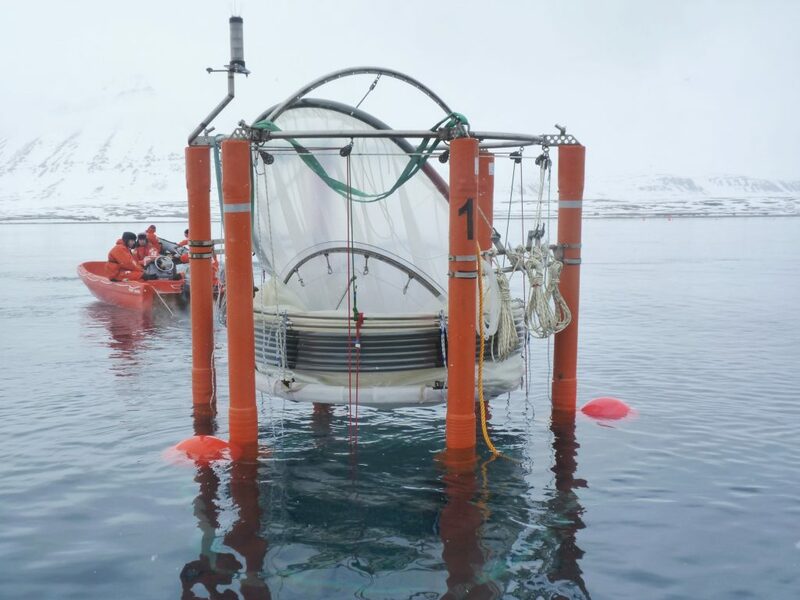 The latest published research shows that acidification is not only affecting much wider areas of the Arctic Ocean, but also that it is happening down to a much greater depth than before. 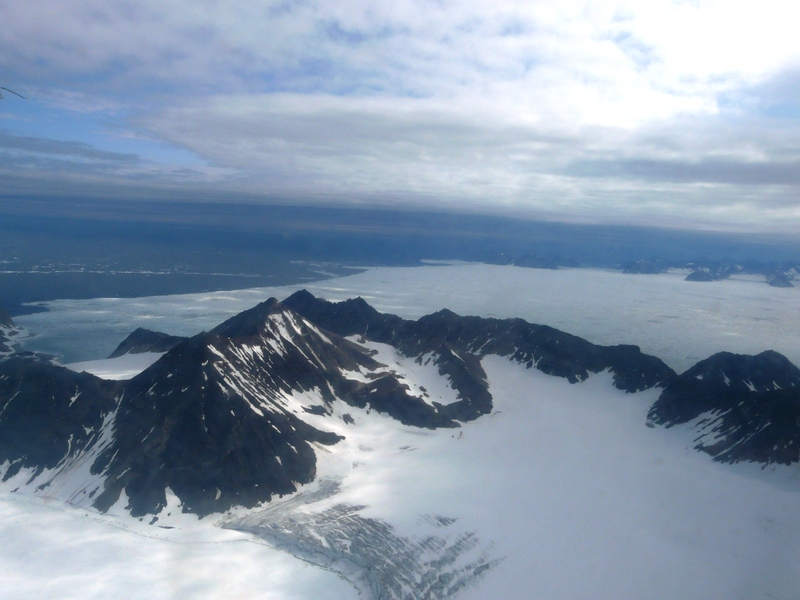 Between the 1990s and 2010, acidified waters expanded northward around 300 nautical miles from the Chukchi slope off the coast of northwestern Alaska, to just below the North Pole, the scientists write. At the same time the depth of acidified waters has increased from approximately 325 feet to over 800 feet, or from 100 to 250 metres. 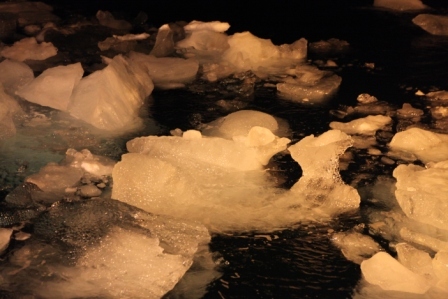 “The Arctic Ocean is the first ocean where we see such a rapid and large-scale increase in acidification, at least twice as fast as that observed in the Pacific or Atlantic oceans”, said Professor Wei-Jun Cai from the University of Delaware and Mary A.S. Lighthipe, Professor of Earth, Ocean and Environment at the same University. Cai is the US lead principal investigator on the project. “The rapid spread of ocean acidification in the western Arctic has implications for marine life, particularly clams, mussels and tiny sea snails that may have difficulty building or maintaining their shells in increasingly acidified waters”, said Richard Feely, senior scientist with NOAA and a co-author. Tiny sea snails called pteropods are part of the Arctic food web and important to the diet of salmon and herring. Their decline could affect the larger marine ecosystem. 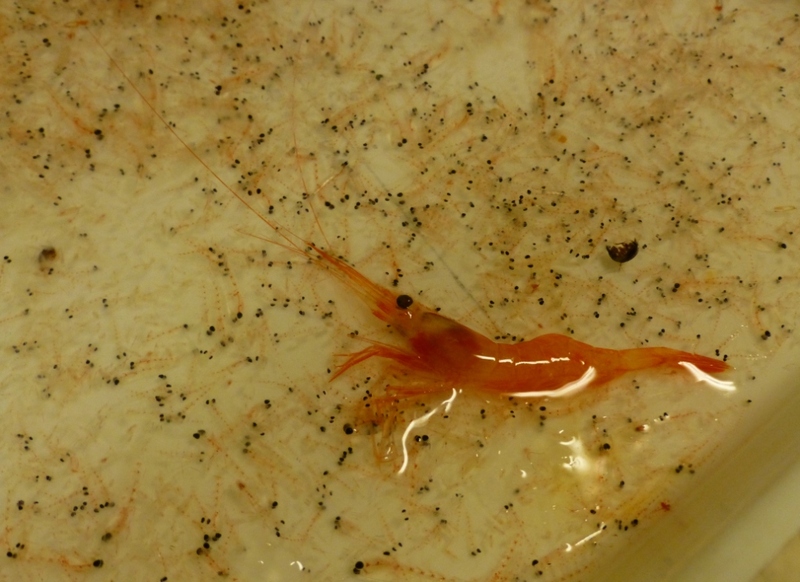 Among the Arctic species potentially at risk from ocean acidification are subsistence fisheries of shrimp and varieties of salmon and crab. 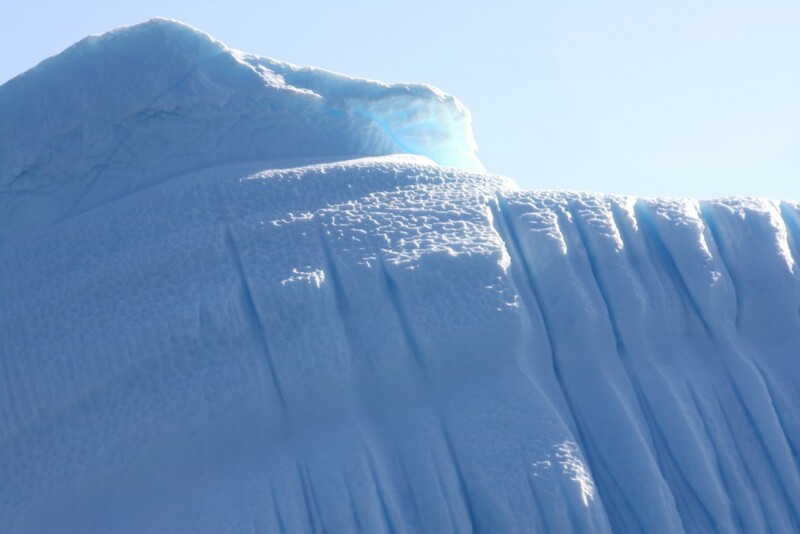 The polar regions are suffering more than others, because cold water absorbs CO2 faster. 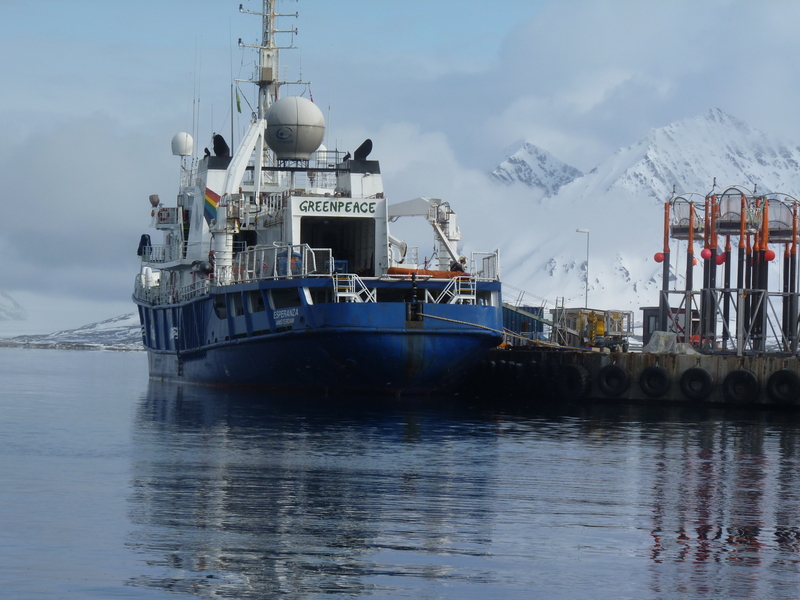 The acidification study published this week used water samples taken during cruises by the Chinese ice breaker XueLong (snow dragon) in the summer 2008 and 2010 from the upper ocean of the Arctic’s marginal seas, right up to the North Pole, as well as data from three other cruises going back to 1994. The data, along with model simulations, suggest that increased Pacific Winter Water, driven by circulation patterns and retreating sea ice in the summer season, is primarily responsible for the expansion of ocean acidification, according to Di Qi, the lead author of the paper. 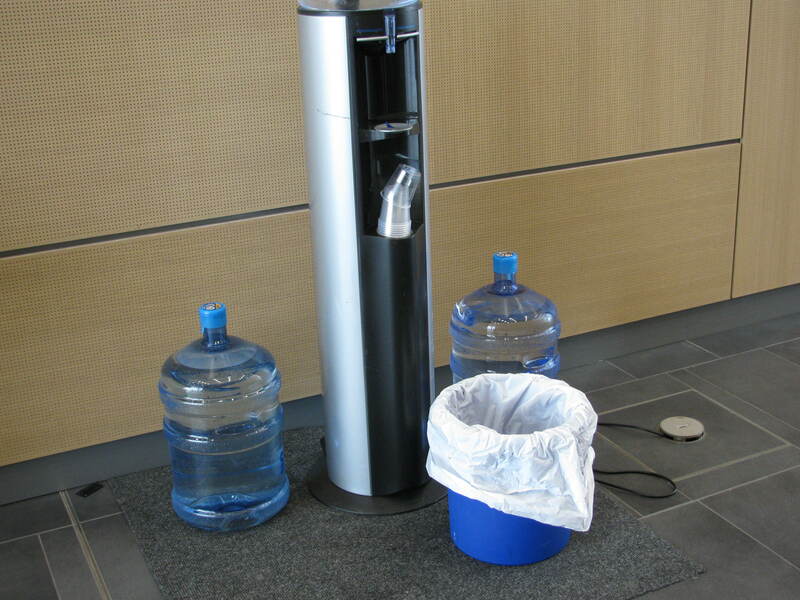 This water from the Pacific comes through the Bering Strait and shelf of the Chukchi Sea into the Arctic basin. Melting sea ice is one factor which allows more of the Pacific water to flow into the Arctic Ocean. The Pacific Ocean water is already high in carbon dioxide and has higher acidity. As it moves north, its acidity increases further for various reasons. The melting and retreating of Arctic sea ice in the summer months also lets Pacific water move further north than in the past. 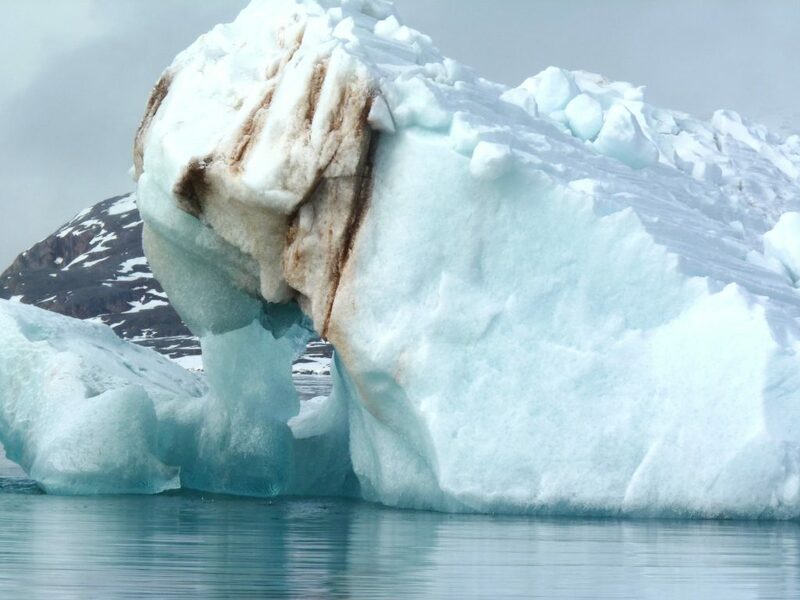 The scientists have observed that Arctic ocean ice melt in summer used to occur only in shallow waters with depths of less than 650 feet or 200 meters. But now, it spreads further into the Arctic Ocean. 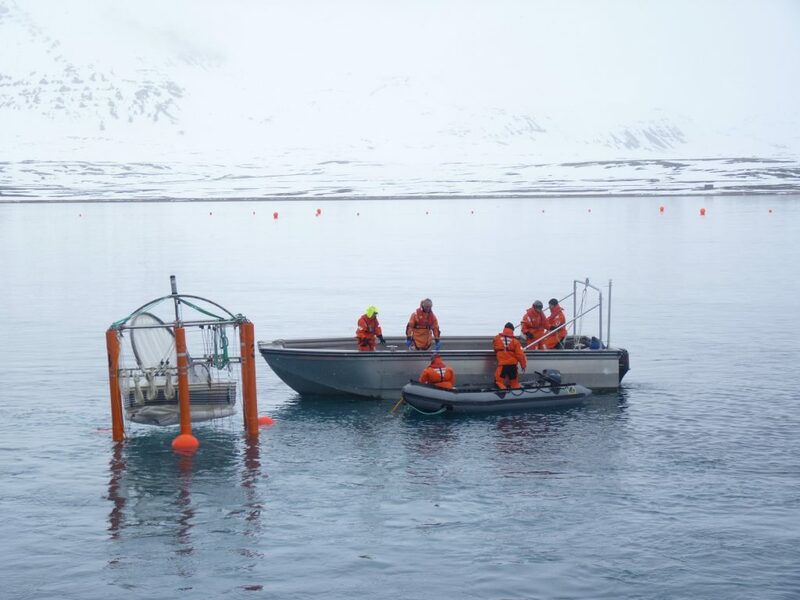 In 2010, I spent some time with scientists conducting the world’s first experiments in nature, off the coast of Svalbard, to establish exactly how increasing acidification affects the flora and fauna in the Arctic Ocean. Mesocosms, or giant test-tubes, were lowered into the sea to capture a water column with living organisms inside it. Different amounts of CO2 were added to simulate the effects of different emissions scenarios in the coming decades. Similar experiments are still being conducted in different ocean areas. Results so far have been scary to say the least. Mussels, snails, sea urchins, starfish, coral, fish, “some of these species will simply not be able to compete with others in the ocean of the future”, Ulf Riebesell from the Helmholtz Institute for Ocean Research in Kiel, GEOMAR, told me in an interview back in 2013, when he was a lead author of a report by the International Programme on the State of the Oceans (IPSO). 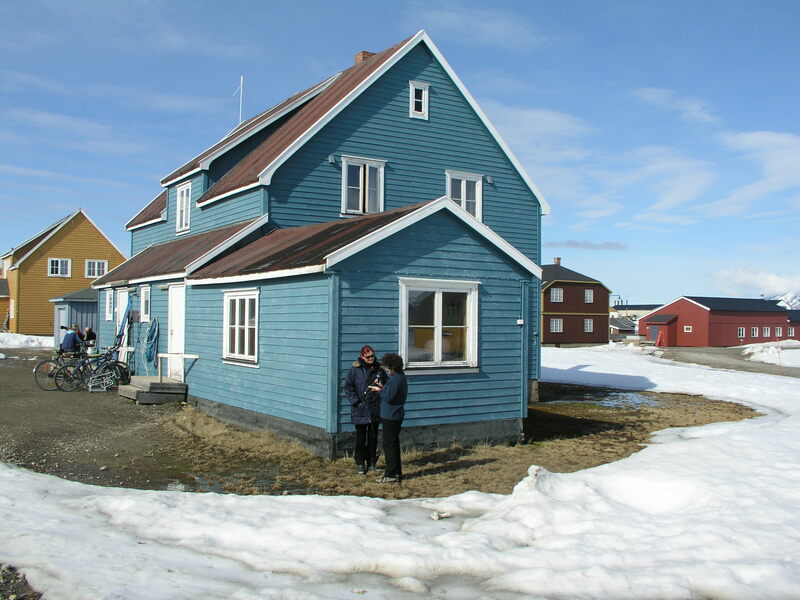 He was also one of the scientists in charge of that first Arctic acidification in situ experiment I witnessed back in 2010. 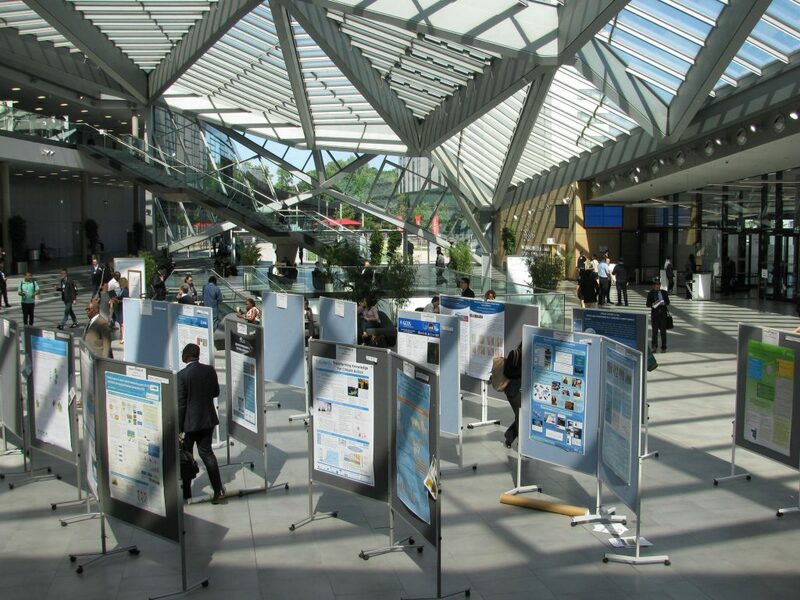 He is currently coordinator of the German national project Biological Impacts of Ocean ACIDification (BIOACID). 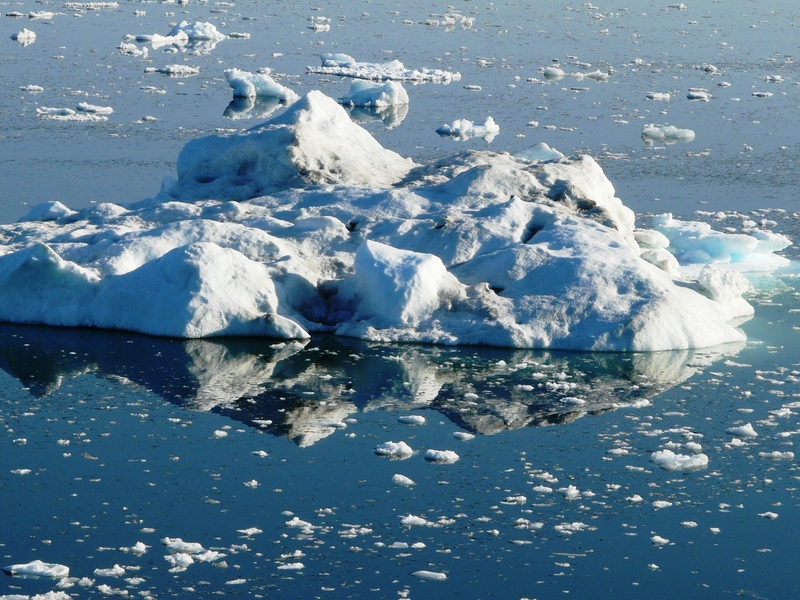 Riebesell says the sea water in the Arctic could become corrosive within a few decades. “The shells and skeletons of some sea creatures would simply dissolve”, he told me. Indeed, Chelsea. Climate change is already changing our lives and our planet. And, of course, what happens in the Arctic doesn’t stay in the Arctic. The scientists studying ocean acidification and its impacts are also concerned about a feedback effect that will further exacerbate global warming. When the IPSO report on the state of the oceans was published, I interviewed the organisation’s scientific director Alex Rogers, a professor of conservation biology at the University of Oxford. He told me the oceans were already taking up about a third of the carbon dioxide we are producing. The report said sea water was already 26 percent more acidic than it was before the onset of the Industrial Revolution – and it could be 170 percent more acidic by 2100. In the long run, the ocean will become the biggest sink for human-produced CO2, but it will absorb it at a slower rate. 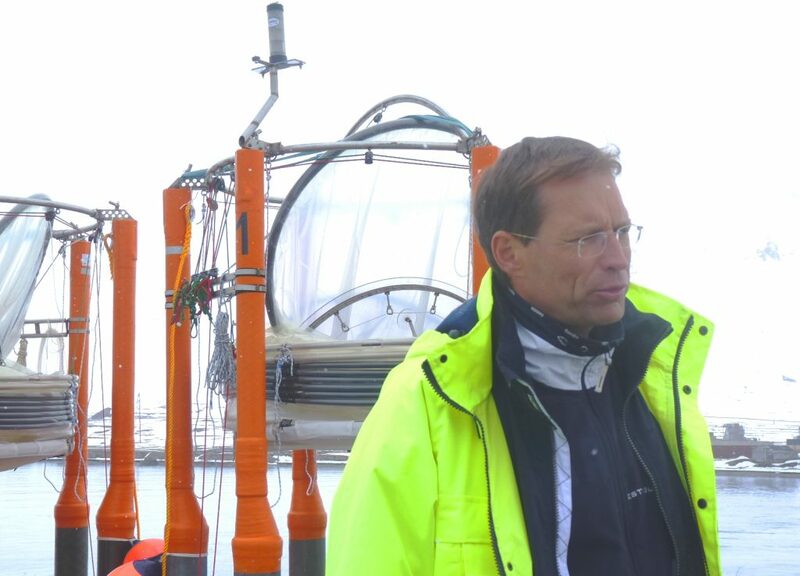 “Its buffer capacity will decrease, the more acidic the ocean becomes”, Kiel-based scientist Ulf Riebesell told me. “On a lot of these major extinction events we see the fingerprints of high temperatures and acidification, similar effects to the ones that we are experiencing today”. Now there is a frightening possibility. It is not too late to do something about this, although the experts stress the CO2 will remain in the oceans for thousands of years. The scientists tell us the key step would be to reduce greenhouse gas emissions, but also to reduce pollution and other pressures on the ocean ecosystem, which reduce its resilience. High time for the Clean Seas initiative, to reduce ocean pollution from marine litter, especially from plastic, launched this week by the United Nations Environment Programme. As 2016 draws to an end, the shortest day has passed in the northern hemisphere, and it should normally be a “cool” time of the year, in more ways than one, especially in the Arctic. But with temperatures at a record high, sea ice at a record low and feedback loops springing into action, the Arctic is hotting up – and I wish I could say the same for efforts to halt climate change. “(…) North Pole temperatures have climbed to 30oC hotter than normal for this time of year. 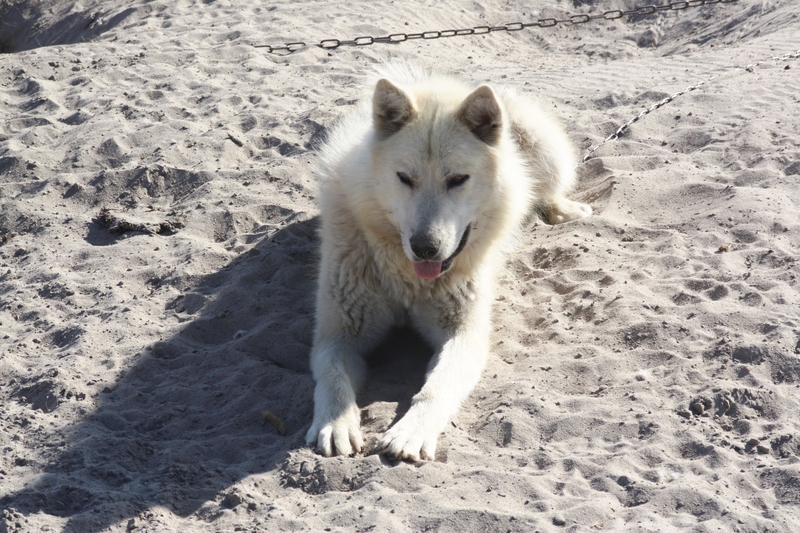 Arctic in need of tlc? It looks like the Arctic is urgently in need of some tlc – or maybe intensive care would be more fitting. The Arctic Report Card for 2016 recently published by NOAA should have set alarm bells ringing. Based on environmental observations throughout the Arctic, it notes a 3.5 degree C increase since the beginning of the 20th century. The Arctic sea ice minimum extent tied with 2007 for the second lowest value in the satellite record – 33 percent lower than the 1981-2010 average. 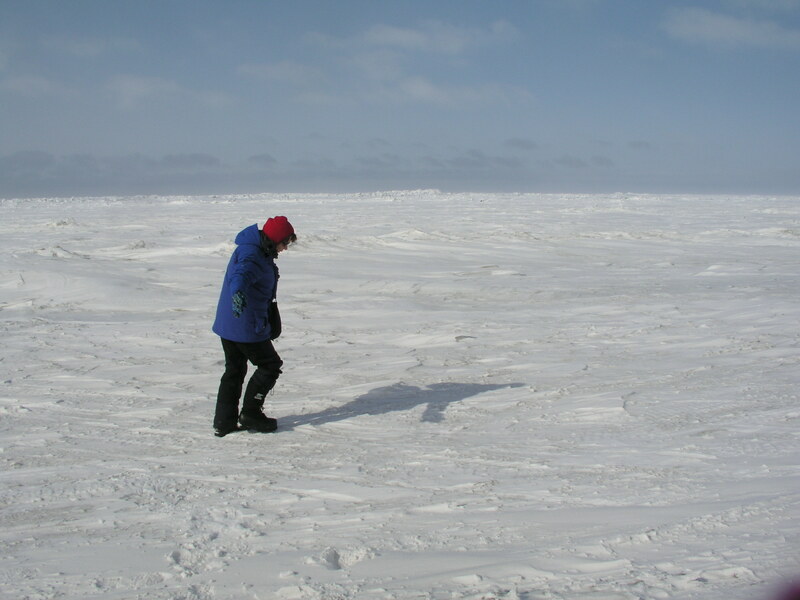 That sea ice is relatively young and thin compared to the past. “The average surface air temperature for the year ending September 2016 is by far the highest since 1900, and new monthly record highs were recorded for January, February, October and November 2016. After only modest changes from 2013-2015, minimum sea ice extent at the end of summer 2016 tied with 2007 for the second lowest in the satellite record, which started in 1979. Spring snow cover extent in the North American Arctic was the lowest in the satellite record, which started in 1967. In 37 years of Greenland ice sheet observations, only one year had earlier onset of spring melting than 2016. The Arctic Ocean is especially prone to ocean acidification, due to water temperatures that are colder than those further south. The short Arctic food chain leaves Arctic marine ecosystems vulnerable to ocean acidification events. 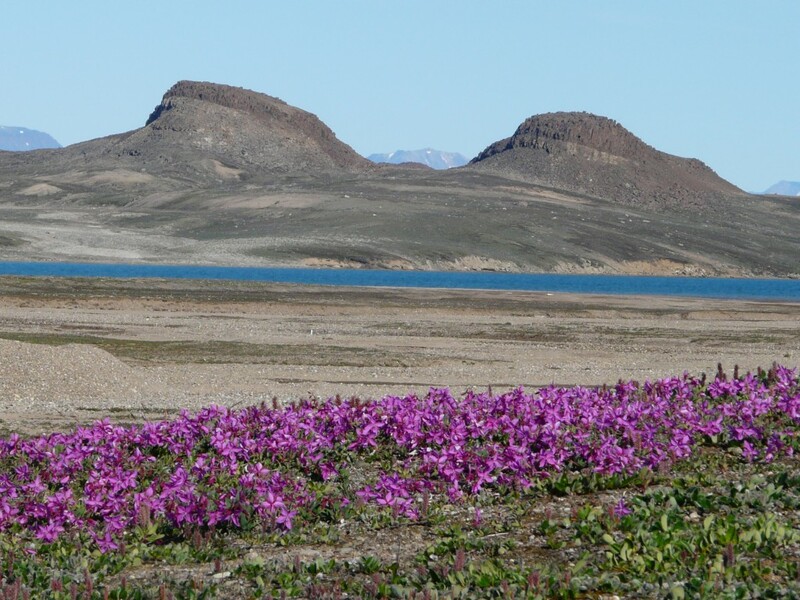 Thawing permafrost releases carbon into the atmosphere, whereas greening tundra absorbs atmospheric carbon. 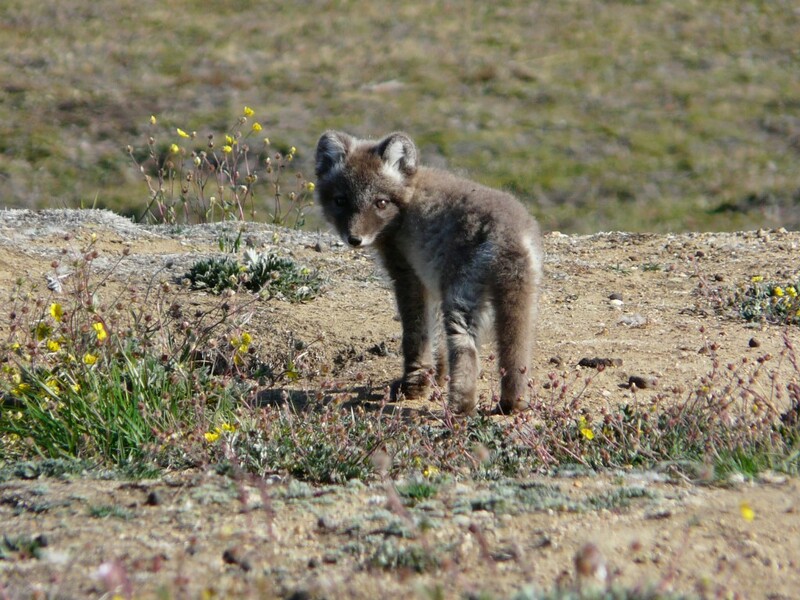 Overall, tundra is presently releasing net carbon into the atmosphere. “…Rapid and unprecedented rates of change mean that the Arctic today is home to and a cause for a global suite of trillion dollar impacts ranging from global trade, increased or impeded access to land and ocean resources, changing ecosystems and fisheries, upheaval in subsistence resources, damaged infrastructure due to fragile coastlines, permafrost melt and sea level rise, and national security concerns. Sack the teacher, kill the messenger? That was her response to the Arctic Report Card. In my school days, the report card was a business to be taken seriously. A bad report meant you were in trouble and would have to smarten up your act or you would be in big trouble with mum and dad. The question is – who gets the report, and who has to smarten up their act? This one should make the governments of this world speed up action on mitigating climate change and getting ready for the impacts we will not be able to halt. Then again, they could just try to get rid of the messengers who come up with the bad news. If your kid’s report card is bad, do you try to improve his performance – or get rid of the teacher who came up with the negative assessment – based on collected data? I am concerned that the administration in the wings of the US political stage could be more likely to do the latter. As I wrote in the last Ice Blog post, the new Trump administration is threatening to cut funding for climate research. The proposed new Cabinet is well stocked with climate skeptics. Financial support for the Arctic Report Card is provided by the Arctic Research Program in the NOAA Climate Program Office. 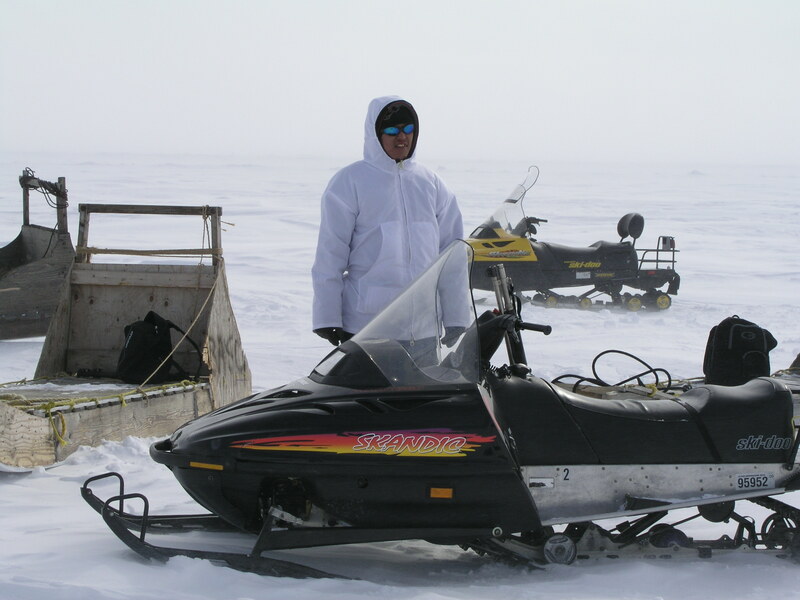 Its preparation was directed by a “US inter-agency editorial team of representatives from the NOAA Pacific marine Environmental Laboratory, NOAA Arctic Resarch Program and the US Army Corps of Engineers, Cold Regions Research and Engineering laboratory. Yereth Rosen, writing for Alaska Dispatch News, quotes Jeremy Mathis, the director of NOAA’S Arctic research program and one of the editors of the report card. “The report card this year clearly shows a stronger and more pronounced signal of persistent warming than in any previous year in our observational record”. “We hope going into the future that our scientists and researchers still have the opportunity to contribute and make possible the summary that we’re able to present. So we have every intention of continuing to publish the Arctic Report Card as we have in the past and pulling together the resources and the right people that allow us to do that”. The debate over President Obama’s announcement that he was making a vast area of the Arctic Ocean off-limits to drilling for oil or gas, shows the dilemma of our times – and .. which could influence the living conditions on our planet for generations to come. Erica Martinson, writing for the Alaska Dispatch News, provides interesting insights into the debate for those of us who do not live in Alaska. She quotes Alaska’s Republican Congressman Don Young, saying he used “livid language” in his response. Obama’s move means “locking away our resources and wuffocating our already weakened economy”. He goes on “Alaska is not and shuld not be used as the poster child for a pandering environmental agenda”. She also quotes Republican Senator Dan Sullivan as describing the move as “one final Christmas gift to coastal environmental elites”. So would those be the indigenous communities being forced to relocate because climate changes are destroying their homes, Senator? The administration, on the other hand, says it is protecting the region from the risk of a catastrophic oil spill, Martinson writes. It seems to me that Obama’s parting gift goes rather to the “Alaska Native communities of the North Slope” who “depend largely on the natural environment, especially the marine environment, for food and materials”, and to the many endangered and protected species in the area, “including bowhead and fin whales, Pacific walrus, polar bear and others”. What about the Paris Agreement? But as well as that regional aspect, the decision not to open up new regions to drilling for oil and gas is in line with the global need to cut fossil fuel emissions to halt the warming of the world. “It marks the important recognition that we cannot achieve the nation’s climate-change goals if we continue to expand oil and gas development into new, protine environments like the Arctic and Atlantic Oceans”. This is not just about Alaska, not just about the Arctic, but the future of the planet as a whole. The World Meteorological Organization (WMO) says 2016 is on track to be the hottest year on record. According to UN estimates, the global temperature in 2016 was 14.88 degrees C – 1.2 degrees higher than before the industrial revolution began in the mid-19th century. In an article for the New York Times on December 22, Henry Fountain and John Schwartz quote NOAA’s Arctic Research Program director Jeremy Mathis. So when I propose a toast to a cool Arctic in 2017, I am not just thinking of my friends in the high north. 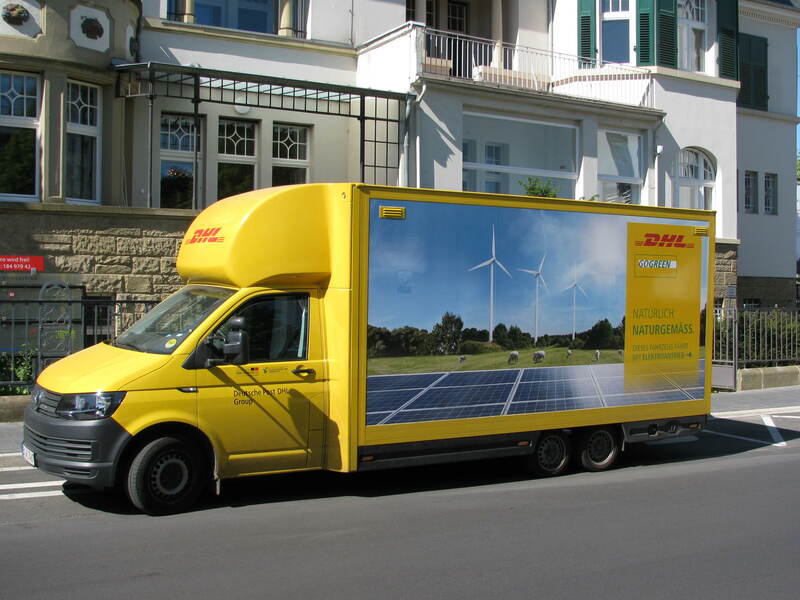 For all our sakes, we have to kick our fossil fuel habits, save energy and cut the emissions which keep the giant refrigerator that helps make our world a viable place to live well chilled.